Over the years, we’ve noticed that one of the most important yet unnoticed flooring accessories is the expansion joint. They’re essential for installations in schools and are needed between any two pieces of flooring that can expand or contract. Here’s why. An expansion joint, also called a movement joint, is essentially a specialized transition strip. It’s used to join two pieces of flooring together while absorbing any expansion or contraction that occurs between them. Expansion and contraction can occur when there are contrasts in temperature. This could be a sudden change in the weather, or something as simple as a change in internal temperature, like when the interior of the school is very warm and the ground underneath the building is very cold. These scenarios can cause the subfloor to expand and contract. Typically, expansion occurs when the flooring heats up and contraction occurs when the temperature is cooler. 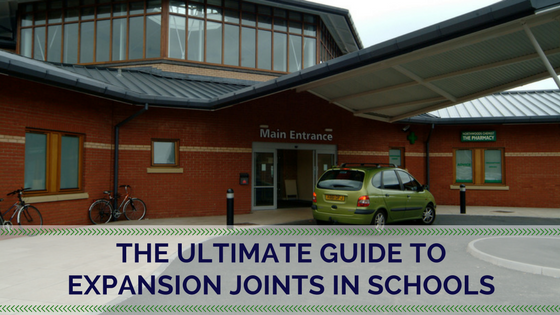 When Do You Need Expansion Joints in Schools? Schools need expansion or movement joints anywhere two pieces of flooring come together that could expand or contract. Your standard PVC screw down, glue down transition strip will not work in flooring that may expand or contract. Instead, you’ll need to choose one of two types of expansion joints. The first option is a transition with a moveable, accordion-like PVC piece in the center. The center piece would shrink as the floor expands with warmth, or would expand as the flooring contracts with colder temperatures. With this option, transitions would be attached to both sides of the flooring, so only the center piece would move. Your second option is called a floating transition. This transition would only adhere to one side of the flooring, and the other would remain free to expand or contract with the floor. Both of these options are effective in protecting the integrity of your school’s flooring as it expands and contracts, so the best choice for your installation is typically the one that will look the best with the rest of your flooring and accessories. As with most flooring accessories for educational installations, we recommend selecting a Gradus profile because of its durability and enhanced safety features. If you’d like to explore Gradus’ options or have additional questions about expansion joints, please contact one of our product specialists.